Located within the village it is the only tower still standing on the ramparts of the defence castle of Toloriu, the residence of the Grau-Moctezuma. The castle was destroyed by the French in 1794. 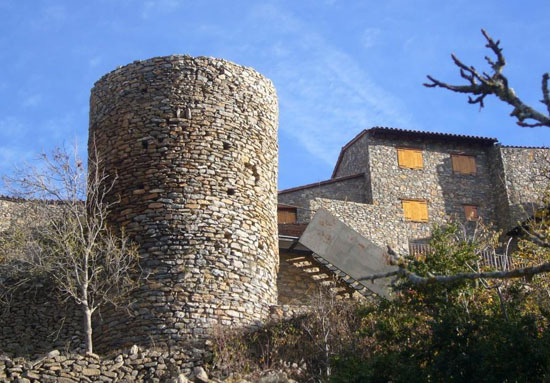 From the top of the tower we can currently enjoy a view of the Segre river valley and almost reach out to Aristot, the village in front of Toloriu on the other side of the river. It is a round tower facing north. In the thirteenth century it was an impregnable bastion for the castle. The castle belonged to the Counts of Cerdanya and along with the castles of Bar and Aristot it defended the entrance to the Cerdanya county.